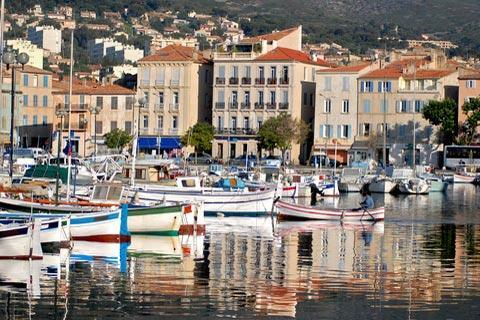 La Ciotat is on the coast of the Bouches-du-Rhone department of Provence, south-east of Marseille and Cassis. 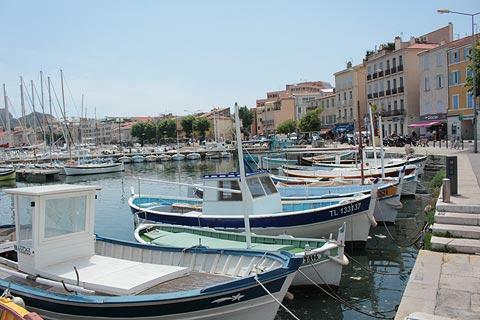 As with its (smaller) neighbour at Cassis, La Ciotat enjoys an enviable position with great coastal scenery nearby to the west including the Marseille calanques, easy access to beaches along the coast to the east, and the town itself has a fishing port and an attractive harbour full of pleasure boats. France This Way comment: although La Ciotat has a lot to commend it including an attractive harbour area, you should be aware there is a large shipyard at the end of the harbour that rather reduces the appeal of the town: visitors will certainly prefer to stay in nearby Cassis and visit La Ciotat as part of a trip along the coast, rather than actually staying in La Ciotat. 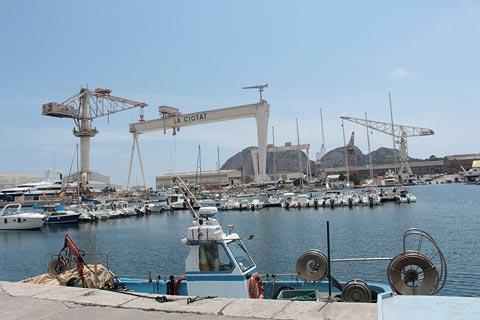 It is easiest to park in the large car park next to the sea, at the western end of the port: from here you are very close to La Ciotat tourist office, the best place to start a visit, as well as the harbour and old town. There is a promenade along the coast to the north of here that passes the two pleasure ports in the town. The 17th century Church of Notre-Dame, an imposing roman style church, dominates the west side of the harbour. 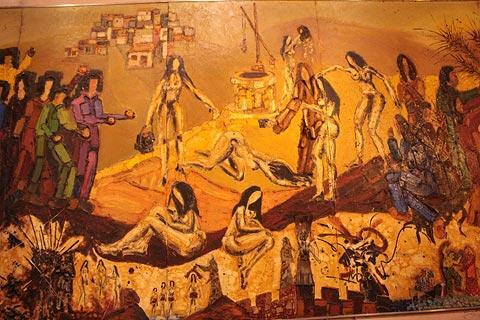 The church was renovated in the 1970s, and at that time several large frescoes were painted by Gilbert Ganteaume: these are very large and quite impressive works of art. 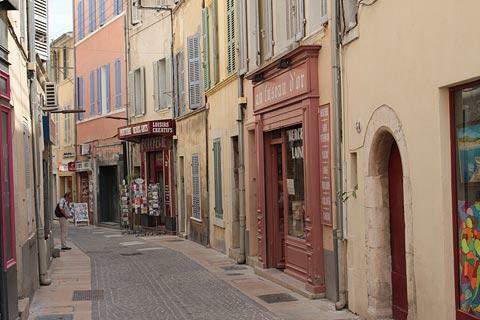 You can enter the old town of La Ciotat behind the church and into Place Sadi Carnot. There are a good number of impressive houses spanning the last 400 years to admire, and shady open squares to discover, and several of the grander old houses have interesting architectural features such as ornate carved doorways. 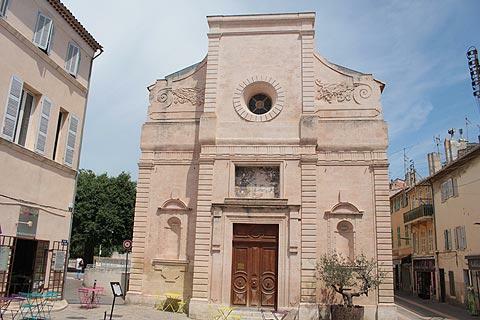 There are also several small chapels and churches of interest in La Ciotat, typically dating from the 17th century such as the Chapel of the Blue Penitents. 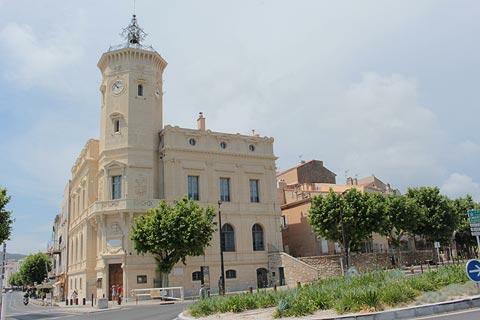 On the south-west of the harbour you can also see a grand villa, built in the renaissance style in the 19th century with a campanile on top of the tower. This was originally the town hall and is now the town museum, called the Musée Ciotaden. La Ciotat also has two 'claims to fame': the first as the town where petanque was invented (a Provencal version of boules, that you will see played in every town in the region), and the second as the place where the first moving film was made - a short film of a train arriving in La Ciotat train station in 1895 (the cinema can still be seen in the town). 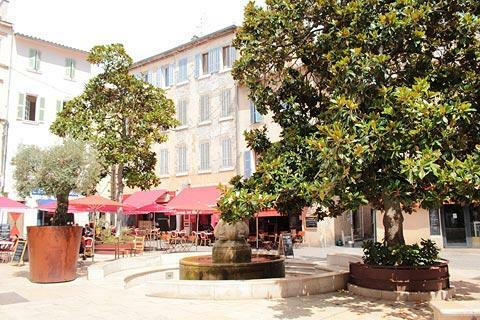 There are several parks and gardens in and around La Ciotat, such as the Jardin de la Ville which covers 15 hectares a short distance north of the town centre on Boulevard Lamartine. 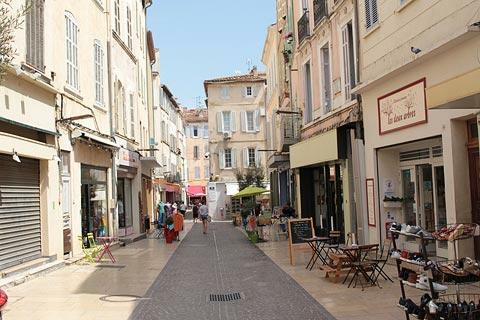 A few kilometres north of the town centre you can visit the Jardins de l'Esperance on Chemin des Poissonniers and the various gardens that together make up the Bastide Marin, on Avenue Guillame Dulac. 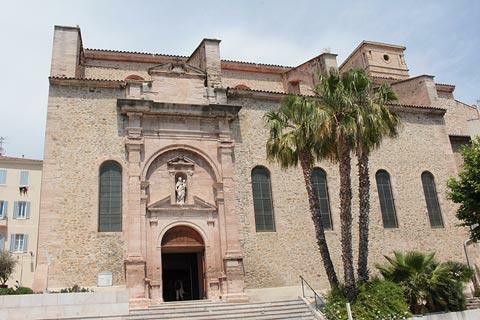 After exploring the gardens in the town you should take a stroll through the Parc du Mugel, the most important park in La Ciotat and a 12 hectare botanical garden with a very wide range of specimens (palm trees, bamboos, aromatic plants, chestnut plantation...) in a lovely setting on a peninsula south of the town and listed as a French 'jardin remarquable'. You also have pretty views across the Calanque du Muguel from within the park. 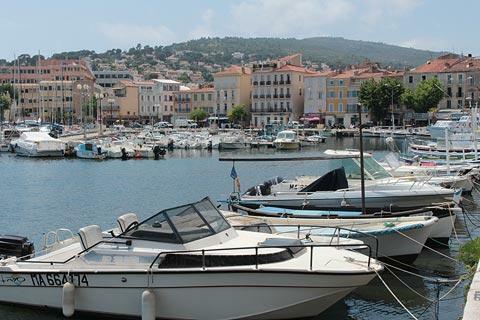 There are about six kilometres of beaches here but you will need to travel a short distance outside the town centre to find them.The coast to the east of the port is called the Gulf d'Amour and is where you will find most of the sandy beaches around La Ciotat. The closest beach to the port is called the Plage des Capucins, then is the Plage Lumiere (very unusual in France this is a non-smoking beach), and a short distance further the biggest beach here is the Grande Plage which has all facilities. Continuing further north-east there are several small beaches, mostly of pebbles rather than sand. There are also small beaches south of La Ciotat town centre, in the calanques of Grand Mugel and Petit-Mugel, and the calanque de Figuerolles is a very picturesque calanque and beach. 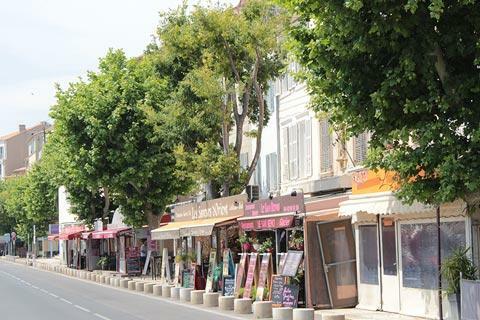 From the old port in La Ciotat you can take a boat trip to Ile Verte, a small island covered in trees which is a popular place for a picnic. Along this section of coast you will certainly want to follow the scenic Route des Cretes along the coastal road towards Cassis, or take a boat trip to see the dramatic cliffs plunging into the sea of the Marseille calanques.